You are currently browsing the category archive for the ‘Renjith P. Sarada’ category. Climbing up the cupboard, all courageous. She couldn’t control herself, caught off-guard by her curiosity. Castles are curiously creative and have crenalated cast of character. Castles quietly keep coffins and corpses, yet incorporate a classy, capricious and capable character. Castles carry a culture quite clumsy and cluttered. Start with the same phrase, and then write whatever comes to mind for 5 minutes non-stop. It doesn’t have to make sense, just get the cobwebs out of your brain and face the blank page. During the exercise, at regular intervals, new 5 words will be given by the moderator, that we need to embed in the story. The words are shown below in CAPITAL letters. Wisps of hair quickly fell to the floor while words spilled from her mouth. She loved sitting in that chair and pouring her soul out to a total stranger. She has been HARBOURING her feelings for quite some time and she was anxiously waiting for someone to share them. She was aware of the DANGER that could surface when talking out her secrets to a total stranger. “Do you know me well?”, she asked him. “It is a SHAME to be alive, having gone through all that I had experienced in my life. You would be BEWILDERED when you start knowing me at a close range. Many strangers who pretended to be my friends left me in the lurch after knowing my story. Do you really want to love me?”, she asked. “I would be a TORCH for you, no matter who and how were you before. I will show you the light and help you to surpass this darkness”, he told. She had nothing to say. She thought that she was seeing a dream. I was reminded of Mother’s Day through Facebook when someone posted a “Happy Mothers’ Day” message. I was a tad confused about the date, since I don’t remember registering March 21 as Mother’s day anywhere in my memory chip! When I “googled” it, I understood that Mother’s Day is observed and celebrated on different dates in different countries! Never mind, my personal opinion on this is not to confine Mother’s Day to only one single day in a year, but to dedicate and celebrate Mothers’ Day, throughout the year. Because, Mothers are special. 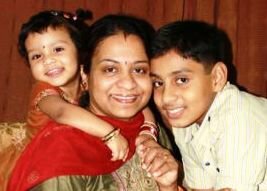 Today, on this Mothers’ Day, let me dedicate this blog post to my late mother (Mummy); my Amma (my mother’s elder sister who brought me up with love and affection); to my mother-in-law (who takes care of me like her own son); to Bindu (my wife; and mother of two children) ; and to all mothers I know and do not know. On this context, it would be cruel and criminal, if I fail to mention about my loving mother-in-law, who, inspite of her illness, took strain to help me as a by-stander during my hospitalization, in June, 2007. Those days have really taught me more and more about a mother’s love, affection and caring. Having said that, let me once again thank each and every one who prayed for my health, visited me in hospital, donated me ample courage and boosted my confidence. I salute you, THANK YOU! A True Story – in 20 points! 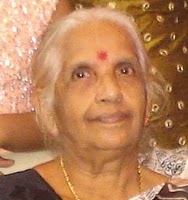 Annamma was born to a well-to-do parents nearly sixty years back. Annamma was given proper education, eventhough she was not much interested in her studies. Having not much hopes on her academic career, her parents got her married to a similar well-to-do bridegroom. Annamma spent time on household chores and doing some kitchen-farming. Soon after, the happy-go-lucky couple were blessed with a baby boy, Chacko. Chacko was given extra care, love and affection by both his parents. When Chacko was eight, Annamma lost her husband, due to some illness. 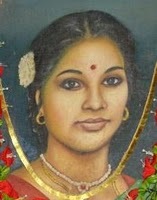 Annamma struggled to bring up her son. She did household work for other people for her livelihood. In no time, Annamma, the once-rich-lady became a servant to many! But, she did not compromise on Chacko’s schooling. She worked more harder to pay her son’s school fees on time. Chacko studied well, passed out from his school, got admission in a reputed college and cleared his graduation with good marks. 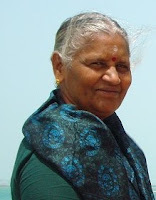 Chacko got a decent job, through recommendation by one of Annamma’s masters, where she did household work. Chacko, an employee then, due to his prestige issues told Annamma to stop working for others as maid servant. Sitting idle at home made Annama a sick lady. She got much worried on her health and hastily did the partition-deed, transferring all her wealth (including land, cash etc.) to her only son. Within a couple of years, Chacko married Mary, daughter of a local businessman. Immediately, the very next day, Chacko, under the influence of Mary and her father, started arguments with Annamma regarding the house and the land they had. Chacko insisted Annamma to vacate the house as the house legally belonged to him!! Annamma could not believe what was happening to her. On the fourth day of his marriage, Chacko who came home fully drunk, started to beat up his mother, after arguing on the house and ‘his’ land. In no time, he kicked her, breaking her leg! THANK YOU, DEAR SON ! With no hopes left, Annamma left “her home” empty-handed and and took refuge in an empty cowshed near her house. On this Mothers’ Day, let us stand united to support and return the due love to our Mothers. Let us dedicate a special day of ours (our birthdays, children’s birthdays, wedding anniversaries, parents’ birthdays) with these less-fortunate mothers. Thankfully, I could really celebrate my father’s birthday with some mothers in September 2005 – a celebration which I will never forget. On this wonderful Mother’s Day, myself on behalf of my family members salute and respect all the Mothers! Amma, this flying kiss is for you.